DRY BACKPACK 25 (Heavy Duty) is the new backpack 100% waterproof HPA. This is a 100% waterproof backpack versatile, intended for all recreational or professional water sports. Its assembly by welding and its closing by winding makes it perfectly waterproof to the strong projections of water, and allow him to support immersions of short durations and with shallow depth (knowing that it will float systematically if one take care to leave some air inside). 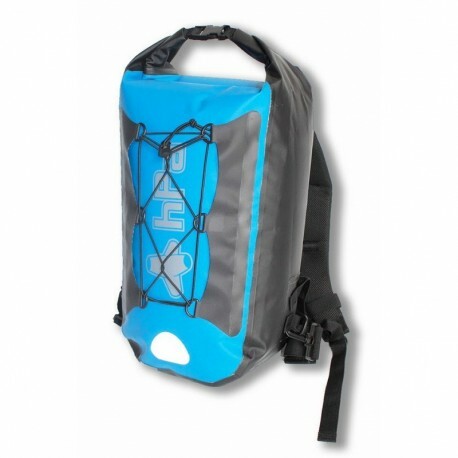 Its volume of 25 liters makes it perfect for day trips. The DRY BACK 25 features a foamed back, adjustable ergonomic shoulder straps and a wide removable waistband making it particularly comfortable. Elastic on the front for a garment or beach towel.